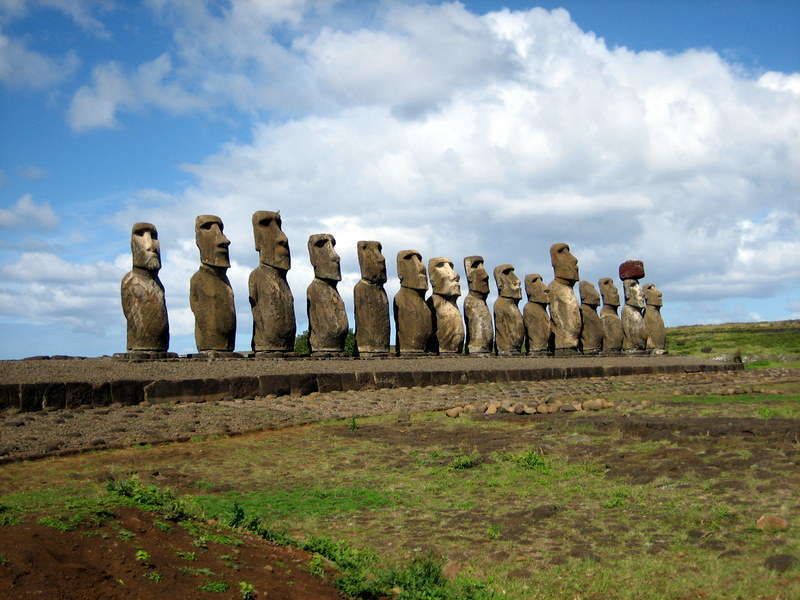 The remote Easter Island is famous for its 887 monumental statues called Moais. 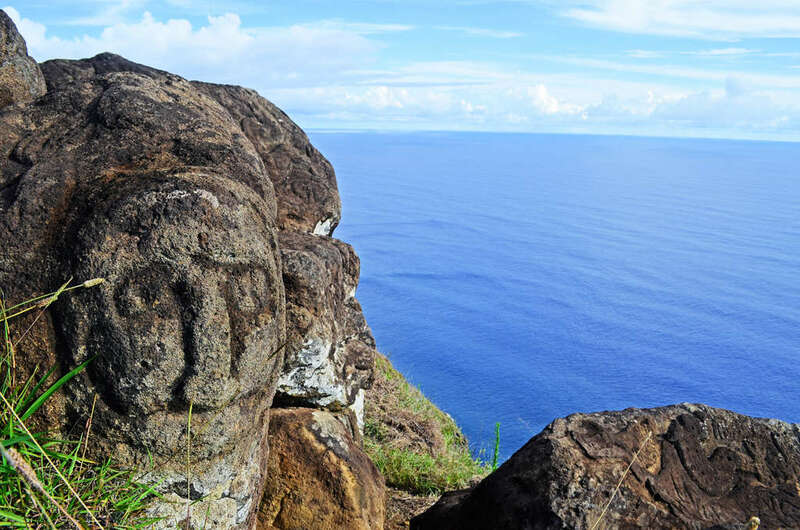 These giant human shaped stone monoliths are all that remains of a once thriving Polynesian culture that disappeared abruptly about 800 years ago. From the moment you get off the plane you start feeling the Island’s essence. The Moais are not the only attraction that draws visitors. 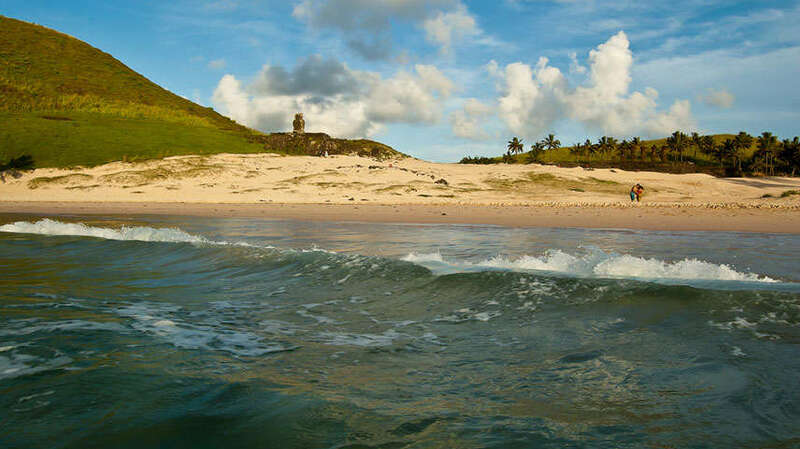 The small island has several beautiful white sand beaches and the warm water of the Pacific is great for bodysurfing and diving. Rano Raraku is a volcanic crater which houses a fresh water lake and is the location where most of the stones were taken for construction of the Moais. The island hosts a network of caves some of which can be easily visited as well as some that can pose a challenge even for expert spelunkers. 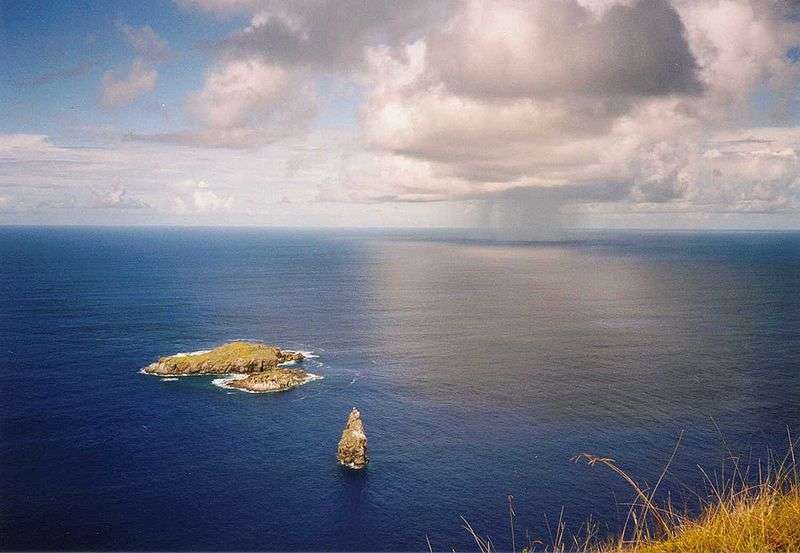 Beautiful rock art sites developed by the bird man culture also inform us of the early cultures for enthusiasts the island has 100’s of different sites to explore. This package includes a guide and transfers to all the key attractions plus plenty of time to explore the island on your own. 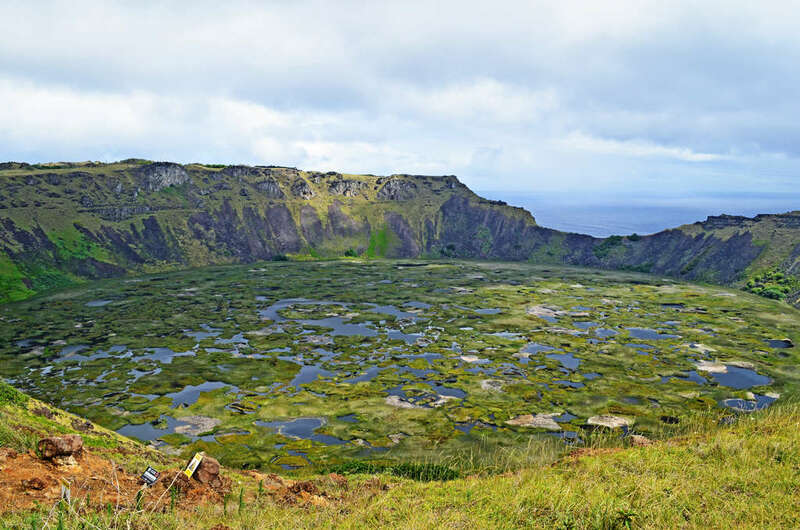 Morning Tour: After breakfast, we’ll head to a spectacular viewpoint on the slopes of Rano Kau and its lake-filled crater. We will see the astonishing ceremonial village of Orongo, where the dangerous Birdman games were once held. These games were used to elect their leader through a life-risking challenge of physical strength and ancient beliefs. After an eye opening history lesson here, the tour will continue to Ahu Vinapu then back to the hotel for lunch. 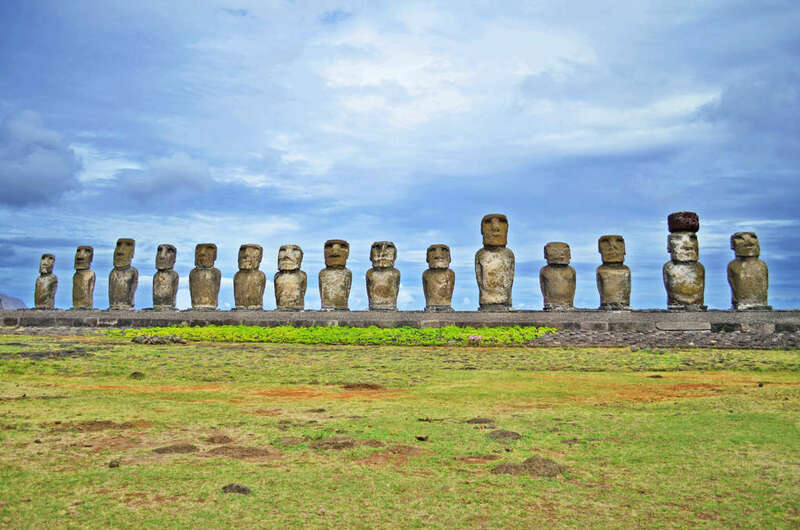 Afternoon Tour: We will explore deeper into the culture of the Rapa Nui by heading to the center of the island to see the legendary Moais of Ahu Akivi which represent the beginning of the Polynesians’ story here. Next we will visit the lonely, restored Moai of Ahu Huri a Urenga. This enormous Moai weighs in at approximately 40 tons and peculiarly has two sets of hands! Enjoy a view looking back at Hanga Roa before heading back to the hotel. We suggest the following tour for this day (not included): Father Sebastian Englert Anthropological Museum, Ahu Tahai and the Craft Market. 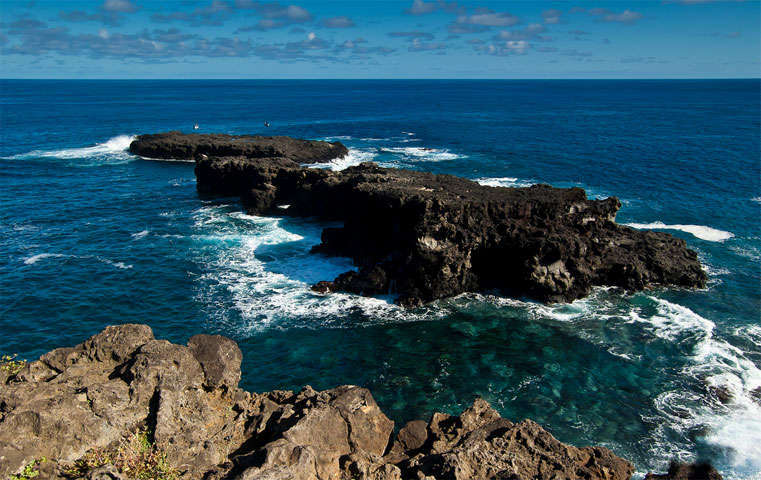 Today you can explore Hanga Roa and the surrounding area at your leisure or try our suggested tours. The Anthropological Museum tells a more detailed story of this island’s history through a series of well-organized artifacts, photographs, and archives which will give you a richer understanding of this unique culture. It also exhibits a female Moai with one coral and one red scoria eye, a true rarity. You can visit the neighboring Ahu Tahai where a few rare Moais with eyes can be viewed. Afterwards you can stroll the aisles of the local Craft Market to see the unique and beautiful carvings made from wood, stone, bone, and more! Take home a few souvenir miniature Moai statues and enjoy the authentic artisan handicrafts.